At 71, Bill Coulter has witnessed pretty much the whole model car-building phenomenon…from the beginning. He’s been building something for over sixty years. Starting around 1950 with a fascination with anything with four wheels, Coulter cut his teeth on Ace wood kits, Revell Highway Pioneers, the occasional airplane model, and many other obscure kits not deserving of mention here. Bill was your typical closet model car builder, as it wasn’t a popular activity with the other farm kids he grew up with. It wasn’t something his parents admired most about him back in the day, either. In spite of that, he never stopped working to improve his skills, learning everything the hard way by the old-school, trial and error method. During this period (mid-50’s), the Revell-AMT 1/32nd scale American car series were his favorite, building subjects. By 1958, AMT released their first 3-n-1 annual kits and for Bill it was a total redefinition of the hobby. Those breakthrough kits were the mainstay of his model building for many years. Also, (along with two close buds), he competed in the Fisher Body Craftsmans Guild, which was an annual contest sponsored by General Motors. It was a life-changing opportunity for him to expand his hands-on model building skill set. Learning to sculpt clay, mold hydro-cal plaster, machine various metals and develop hand-made talents that would prove essential to him in later years. 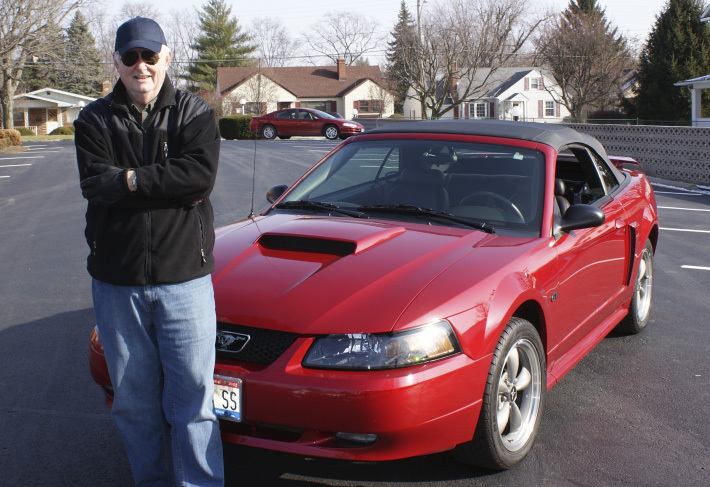 Bill was able to maintain his connection to model car building while he studied Industrial Design at the University of Cincinnati. After graduation in 1965, and between a marriage, a full-time job, and starting a family, somehow Bill was able to keep active in his chosen pastime. By the late 1960’s, what really elevated Coulter’s building level was something they call “synergy”. Simply put, it’s where a group’s influence often results in expanding one’s individual awareness, imagination and final output. Over the years Bill has continued to broaden his building subjects and increase his overall interests in the whole hobby realm. Since his first published article in Car Model magazine in January 1970, many doors have opened for Coulter. He’s been blessed with the opportunity of writing for just about every model magazine (foreign and domestic) that’s been in print. Bill was never a contest-style builder, choosing instead to build and write more for the “everyman” in our hobby. Since that time, Bill has penned hundreds of articles and columns, and he’s written nine books to date. Some have said Bill Coulter has probably written well over one million words about this model car-building hobby he loves so much. He was inducted into the International Model Car Writer/Builder Hall of Fame in 2006. You can believe Bill Coulter will continue doing what he’s been devoted to for sixty plus years, as only God himself knows how many more years folks will have to put up with his blah-blah-blah.